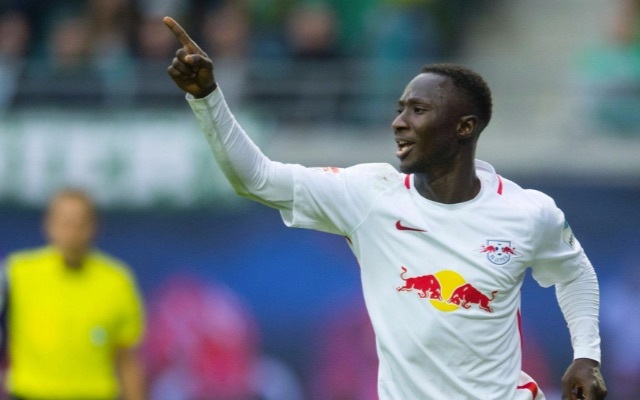 Liverpool are desperate to sign Red Bull Leipzig’s Naby Keita, and are willing to spend as much as £50m to acquire the 22-year-old sensation, according to the Mirror. Keita’s performances for Red Bull Leipzig this term just gone not only helped his side qualify for the Champions League, but also earned him a spot in the Bundesliga Team of the Season. He can play in defensive midfield or further forward and would inject physicality, energy and skill into the centre of Liverpool’s team. But Keita isn’t going to talk about the rumours which suggest he could make the whopping transfer this summer. He told Bundesliga.com (cited in the Echo): “I really don’t worry about such things. My only focus is on our games and my performances; they are the most important things. “I am a young player who never cares about rumours or what appears in the newspapers. I am now looking forward to a well-earned holiday and then to next season. “This is like a dream!” he reflected. “We enjoyed a really great season but it sits well with us. With each game we won, our confidence grew that much more. “Our initial goal was to achieve top-flight safety as soon as possible. We succeeded brilliantly and by finishing second, we can of course feel more than satisfied. “But we don’t want to sit back now. We will continue to progress and ride this wave of success for as long as possible. “We are really keen to discover what the Champions League is all about. Every player dreams of playing in it and we will do everything in our power to make a difference in the tournament. We’re also likely to be in the Champions League and have the lure of Jurgen Klopp and the fact Keita shares an agent with Sadio Mane – who’s been looked after wonderfully since he arrived from Southampton.